For her first solo show in The approach E2, Germaine Kruip has created site-specific works that continue her fascination with light, architecture, composition, time and space. In the main gallery she has striped away one of the existing walls to reveal the windows hidden behind. These windows have been covered over for the past ten years of the galleries existence. In keeping with Kruip’s practice she looks to the original form of the architecture, peeling back the layers to refresh the experience of being in the space and expose the primary proportions and dynamic of the room. This intervention reveals the memory of the original form of the space before it became a gallery and makes a strong connection between the interior and exterior. The staged, accidental and everyday abstractions of light and space are the raw materials for Kruip’s project. 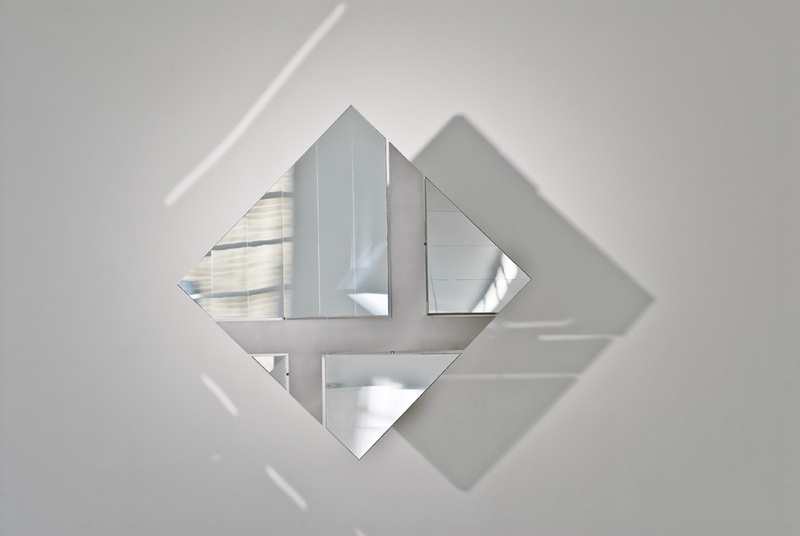 Counter Composition II is the second in her series of mirrored mobiles that take their form from the construction of paintings by Theo Van Doesburg. 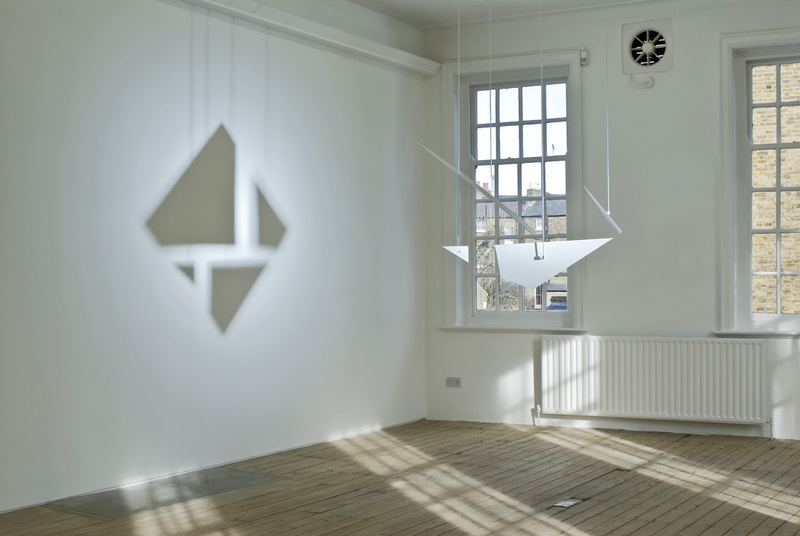 This mechanically operated mobile changes the composition of Van Doesburg into a reflection. At first the mobile appears in the form of a two- dimensional painting hanging on a wall but it slowly morphs into three dimensions. As the form collapses and reforms it perpetually projects light through the exhibition space, illuminating the containing architecture. Based on the principals of De Stijl, the original painting attempted to find forms through which universal truth could be grasped. Here that ‘universal truth’ is animated not as a contained truth but as a constant movement that is nothing but a reflection of its own surroundings. 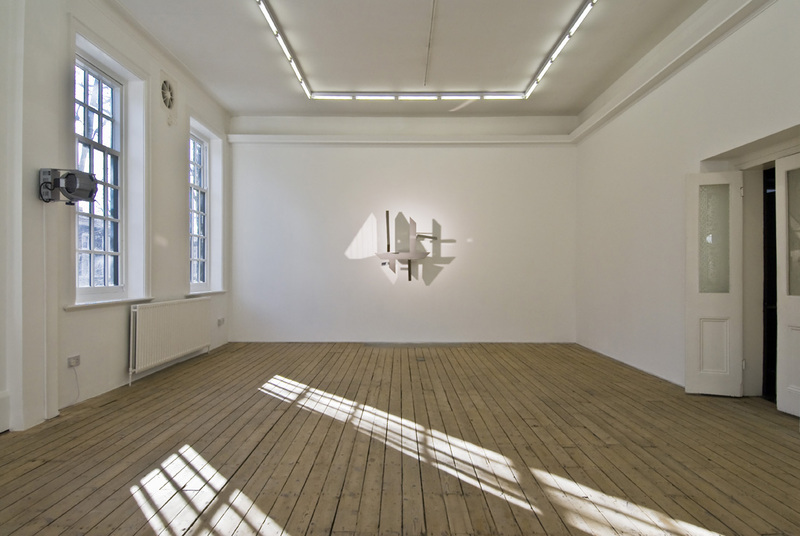 Counter Composition II is presented here in combination with Counter Shadow, a fragmented static version of the sculpture created in the flat perspectival form of its own light reflections in a moment of transition. Counter Shadow is suspended from the ceiling and activated by a light shining directly on to it. The sculpture is echoed once again as shadows cast on the gallery wall, these shadows are fixed in the manner of a film or stage prop and in contrast to the moving light of Counter Composition and changing light conditions of the room. 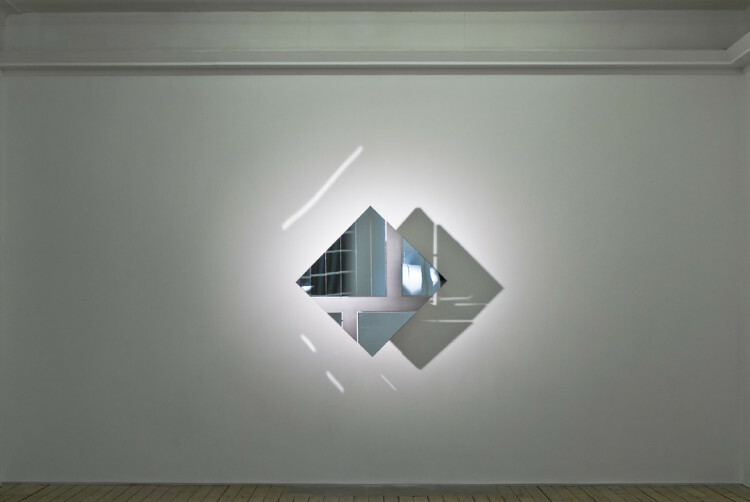 In this exhibition the back room of the gallery also becomes a staging platform that at first appears to be empty but quickly changes into a display of shifting light. 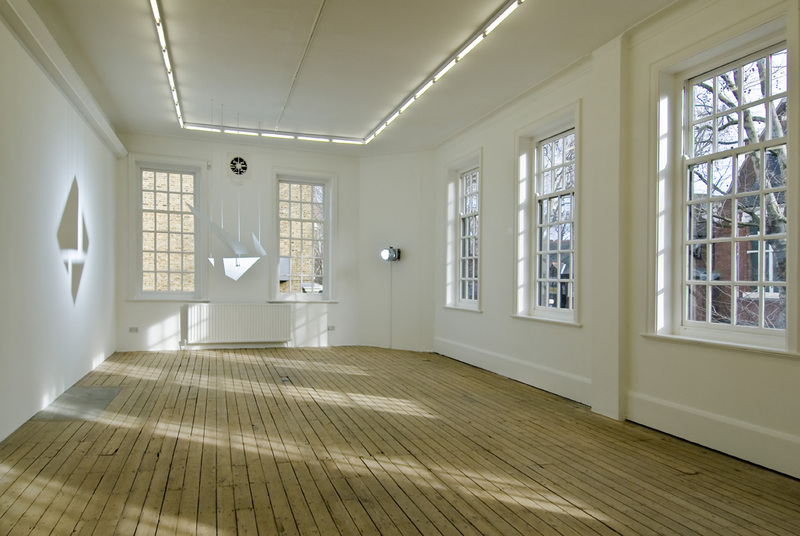 An artificial representation of daylight (blue) and interior lighting (orange) alternates, producing reflections on the gallery’s floor and walls. The revolving coloured glass plates transform the light, causing it briefly to dissolve into one and another and form A Shimmering of Grey. conditioning, the performative and the multiple meanings of scripted space, The Illuminated Void is a new look at contemporary modes of making, and an in depth look at Kruip’s work.